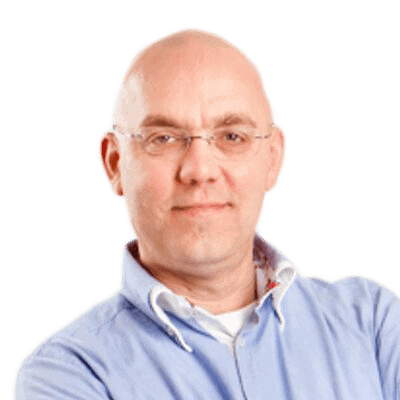 Jaap has now walked us most of the way through the upgrade from an Exchange 2007 environment to an Exchange 2010. In this last article in the series, he takes us the rest of the way, and completes the migration. In my previous two articles (part 1 & part 2) I explained how to integrate Exchange Server 2010 into an existing Exchange Server 2007 environment. 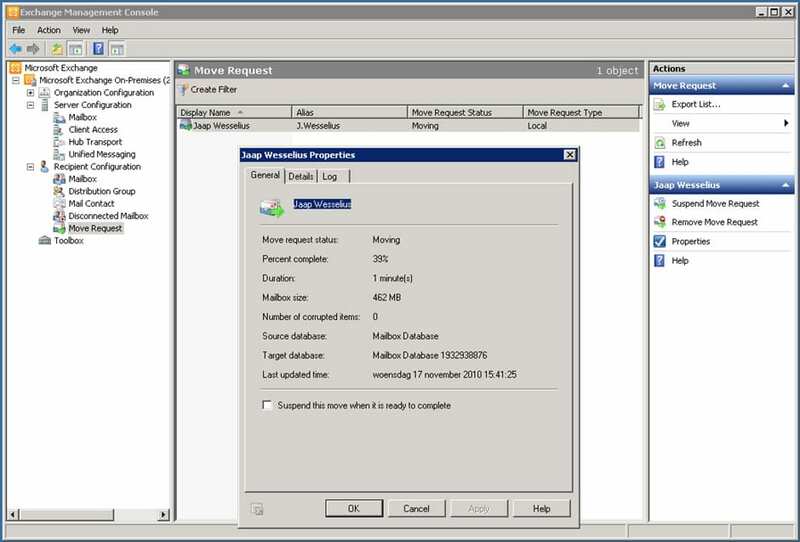 The articles dealt with changing the message flow from the Exchange 2007 Hub Servers to the Exchange 2010 Hub Servers, and how the access methods are impacted when transitioning to Exchange 2010. In this final article, I’ll explain the process of moving all your resources to Exchange Server 2010, and how to decommission the ‘old’ Exchange 2007 environment. Moving mailboxes from Exchange 2007 to Exchange 2010 is relatively easy, especially in a transition process like our example. I actually explained the internals of moving mailboxes in a blogpost on SysAdmin-Talk some time ago. As you are presumably aware, Exchange 2007 resources are managed from the Exchange 2007 management tools, i.e. the Exchange Management Console and the Management Shell. Exchange 2010 resources, on the other hand, are managed from the Exchange 2010 management tools, and you cannot manage Exchange 2007 resources from the Exchange 2010 management tools, or vice versa. The good thing is that if you are fortunate enough to have a management server, you can install the management tools of both versions on the same machine, and thereby save yourself some trouble. To move mailboxes from Exchange 2007 to Exchange 2010, you have to initiate the move from the Exchange 2010 Management Shell or Management Console. Logon to the Exchange 2010 Server and open the Exchange Management Console. Navigate to the recipient configuration and click Mailbox. In the results pane, a list of mailboxes appear, and if there are a large number of mailboxes, then you can create a filter on the view. For example, you can view only the mailboxes in a particular mailbox database. When all mailboxes are successfully moved to Exchange Server 2010, the move requests need to be removed as well. In the Exchange Management Shell, under Recipient Configuration and Move Request, select all the move requests and click on Clear Move Request. Now all of the mailboxes are on Exchange Server 2010. 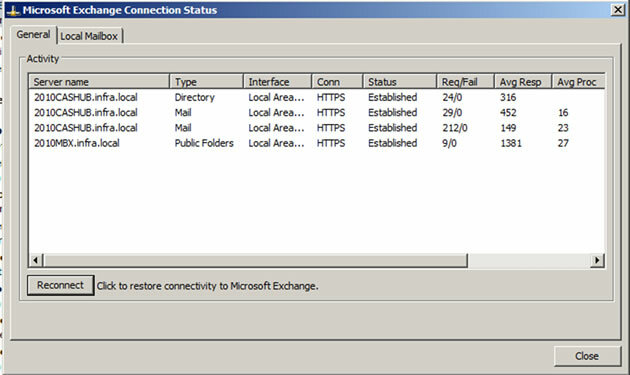 In part II of this series, the Offline Address Book generation server was already moved to the Exchange 2010 Mailbox Server. Given that Address Lists, E-mail Address Policies, Accepted Domains etc are more or less the same in Exchange Server 2010, these do not need any attention at this point. At this stage, you have essentially migrated your entire message environment from Exchange Server 2007 to Exchange Server 2010, so it’s time to look at decommissioning the old environment. Logon to the Exchange 2007 Mailbox Server and open the Exchange Management Console. Navigate to the Server Configuration and select Mailbox Server. In the results pane, select the Mailbox Database on the Exchange 2007 Server and open its properties. In the Client Settings tab, change the default Public Folder database referral to the Exchange 2010 Public Folder database referral. Next, logon to the Exchange 2010 Mailbox Server, open the Exchange Management Shell, and change to the scripts directory by entering the CD $exscripts command. The script will be finished in approximately 20 seconds, but it will only change the replication settings on the Public Folder databases. The actual Public Folder replication will take place when the script has finished, and this replication can take quite some time, depending on the amount of data in the Public Folders of course. I usually leave it running overnight and continue the next morning when everything has replicated out, but there are known scenario’s where replication took about 48 hours to complete. Remove the Exchange 2007 Mailbox Database as well. 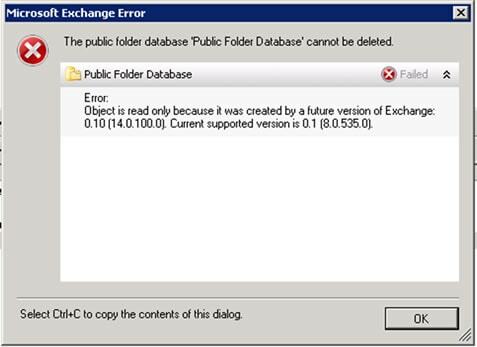 Now that the Mailbox Database and the Public Folder Database are removed, the Exchange 2007 Mailbox Server can be removed. On the Exchange 2007 Mailbox Server, open the Control Panel and open the Applications option. In the results list, select the Exchange 2007 Server and select Uninstall. The setup application starts in “maintenance mode”, and you can just follow the wizard to uninstall Exchange Server 2007. Before removing the Exchange 2007 Client Access and Hub Transport Server roles, make sure that no other clients are accessing the Client Access Server (naturally, they shouldn’t be, since we already removed the Exchange 2007 Mailbox Server. However, if clients do access the Exchange 2007 Client Access Server, it will result in an error message) or the Hub Transport Server (which can happen in scenario’s with applications that use SMTP relaying). Once you’re sure that no clients are trying to access them, the Exchange 2007 Client Access Server and Hub Transport Server can be removed as well. Logon to these servers and open the Control Panel. Just like the Exchange 2007 Mailbox Server, select the Exchange 2007 Server option from the applications menu, and click Uninstall. The setup application will start in “maintenance mode” again, and you can follow the wizard to uninstall Exchange 2007 from these servers. The only step left is to remove the “legacy publishing rule” from the Forefront TGM Server. As a side note, it might be a good idea to install a recovery Active Directory and Exchange 2007 in your lab environment. In our sample environment, there’s a couple of years worth of backup database. When you need to restore one of these backups, for legal purposes for example, then it’s a good idea to have an up-and-running Exchange 2007 environment you can use to restore these old backups. 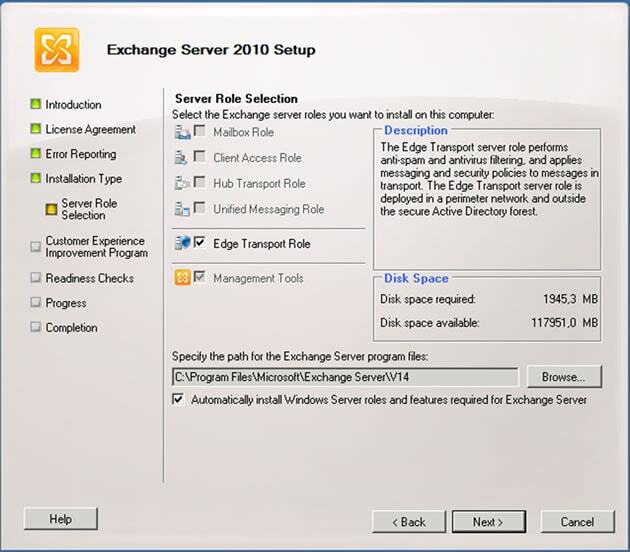 The last server role that needs to be replaced (although this can be done earlier in the process, but preferably after the Exchange 2010 Hub Transport Servers are installed) is the Exchange 2010 Edge Transport Server. The prerequisites for an Edge Transport Server are almost the same as a Hub Transport Server, except that it’s not normally a member of the (internal) domain. Also, you have to set a Fully Qualified Domain Name on the Edge Transport server before installing it. Once all prerequisite software has been installed (Windows Server 2008 SP2 X64 or Windows Server 2008 R2, .NET Framework 3.5 SP1, PowerShell 2.0, Active Directory Lightweight Directory Services. ), you can install Exchange 2010. Just like a regular Exchange 2010 Server, you can have the prerequisite software automatically install during the Exchange 2010 setup, but I prefer to do it myself in advance. This way, I have full control over the prerequisite installation and control the necessary reboots. Figure 9. Select the Edge Transport Role. Note the other roles, they are greyed out. Follow the wizard and do the prerequisite check. If something is missing, it is reported here, and you can correct them. If needed, reboot the server and continue the wizard to install the Edge Transport Server role. When the Edge Transport Server role has been installed, the server needs to be rebooted as well (or possibly again, depending on how much trouble you had installing the prerequisites). After rebooting, configure the Edge Transport Server anti-spam functionality as desired. Logon to the Exchange 2010 Hub Transport Server and open the Exchange Management Console. Navigate to the Organization Configuration and select Hub Transport. Select the Edge Subscription tab and remove the current Edge Subscription (with the Exchange 2007 Edge Transport Server). This will mean you don’t have any inbound or outbound SMTP services! The Edge Synchronization will now start. All you have to do now is reconfigure the SMTP mail flow from the external firewall to the Exchange 2010 Edge Transport Server and you’re back in business. 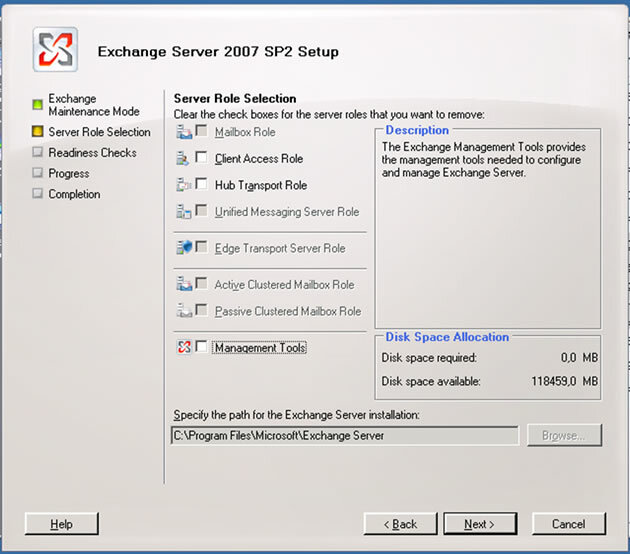 You can now safely remove the Exchange 2007 Edge Transport Server. PST files are stored on a network share, which is slow and not supported. Exchange Server 2010 now offers the Personal Archive, and in SP1 it is possible to locate the Personal Archive on a different Mailbox database, even on a different Mailbox Server from the users’ primary mailboxes. In an earlier article I explained how to deal with importing PST files in mailboxes or in the Personal Archive. The only downside of this process is that it’s command line only, which can be difficult for a Windows SysAdmin more used to GUIs. Red Gate now offers the PST Importer, which is a handy graphical tool for importing PST files directly into a mailbox or a mailbox’ Personal Archive. The PST importer is a 32-bit application, but it can of course run on an X64 Exchange Server. The only thing is that it uses some Outlook DLLs, so your best option is to run it on a management workstation (X64) that has Outlook installed. Using this tool, you can either import the PST files immediately, or you can schedule the import to run off business hours. There’s one (design) issue that you need to bear in mind in general when dealing with PST files. When designing your Exchange 2010 environment, especially the storage needed for the Mailbox Databases, please take into account the amount of PST data you’re likely to be managing. I am constantly impressed by the number of TB’s currently in use by PST files, and if you don’t design and provision properly, you’ll run out of disk space before your migration has finished! In this series of three articles, I explained the process of how to transition from Exchange Server 2007 to Exchange Server 2010. Active Directory was changed and the Exchange 2010 Server roles were introduced in the CHUM (CAS, HUB, UM (not used) and Mailbox) order. The Edge can be upgraded anytime, but the best option is to do that after the introduction of the Exchange 2010 Hub Transport Server. After decommissioning Exchange 2007, quite a lot of customers want to decommission PST files as well. You can use the default built-in functionality of Exchange Server 2010 (which works pretty well, but is PowerShell only) or you can try the Red Gate PST importer, which is much easier to use. Currently we are running an exchage 2003 in one forest. Now we need to migrate the exchange server to 2010 to a new forest. Since the budget is very low, we are looking for a free tools while migration, if not, we have to go with licensed one. Now I have some questions reagrding the exchange 2010 migration on a cross-forest scenario. Could you please clarify the same? 1. How do I migrate the free/busy services and calender to the new Forest?Could you please suggest a good tool or solution? 2. How do I migrate the distribution list, contacts and resource mail boxes including deligation to the new forest? 3. How do I migrate the public folder to new forest? Can i use the inter-organization replication tool for this? if yes, what will happened to the existing permissions?whether it will map with the new forest accounts? My previous plan was, just export the mailox to PST and import it in the new forest mailbox.Now the users are worried about their predefined calender, room booking while moving to the new forest. Could you please help me regarding the above questionnaire. Hi, Great 3 part article series. Can you use this same approach when migrating ccr to DAG? Since Redgate has discontinued the PST Importer product, are there any other tools you recommend? Well describe thanks for sharing this informative post. I have also something to share related to this topic i.e. http://www.lepide.com/exchangemigrator/ which lets you to migrate between Exchange Servers of any version.